More public input is needed before New Canaan gets closer to funding projects that bring major changes to the use and ownership of town-owned buildings such as Vine Cottage, Irwin House and the former Outback Teen Center, Selectman Kit Devereaux said Tuesday. There hasn’t been any real discussion in public about renting Irwin House to nonprofit organizations, for example, yet a process appears to be underway to start funding work to that end, according to Devereaux. Her comments came as the selectmen discussed proposed bond resolutions that are to go before municipal funding bodies and are related to future capital projects. They include $50,000 to plan for the renovation of the lower level at the former Outback Teen Center for office use and $80,000 for similar work at Irwin House. The selectmen’s review of the resolutions was for informational purposes only, officials said. First Selectman Kevin Moynihan has said that the ground floor of Irwin House—which served as a home for Planning & Zoning as well as Inland Wetlands and the Health and Building Departments during the renovation and expansion of Town Hall—could be rented out to nonprofit organizations. He also has said Human Services could move out of its home in Vine Cottage and into the lower level of the Outback building, while a commercial tenant rents the upper level. Under that plan, Vine Cottage would be sold, though the town could put restrictions that ensure it continues to look the same, and could add it to New Canaan’s Historic District, which offers protections for its public-facing exterior. During the meeting, Moynihan noted that residents could comment on agenda items related to those buildings when they come before the Board of Finance and Town Council, and that in some cases—such as if New Canaan divests itself of Vine Cottage—the Planning & Zoning Commission would need to weigh in on the matter. 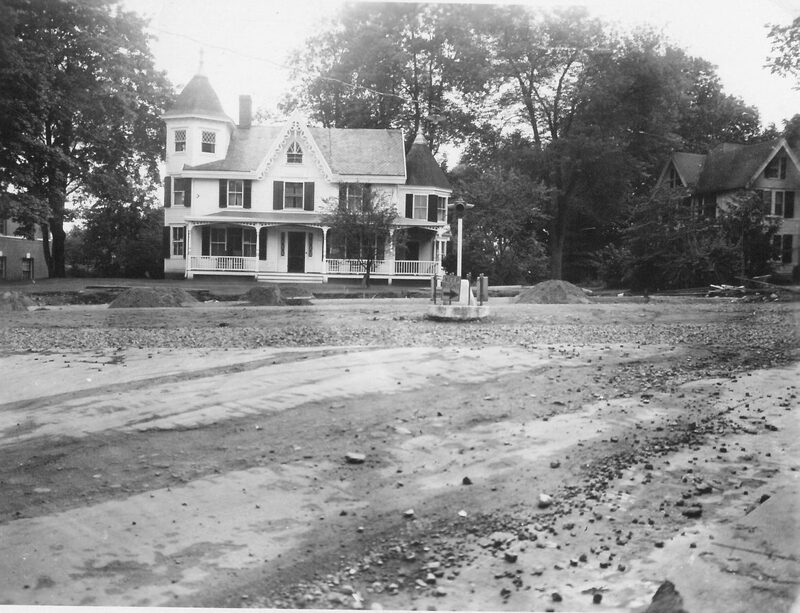 To Devereaux’s assertions that “a lot of change that is being proposed” with respect to Vine Cottage as well as the Police Station and New Canaan Library and that it’s unclear whether “everybody is aware that there is quite so much out there for debate,” Moynihan noted that questions around what to do with public buildings have been a major discussion topic in town for many months. A now-dissolved committee studied more than 50 town-owned buildings in New Canaan, a forum on public buildings was held earlier this year and Moynihan himself has discussed plans for them in regular press briefings with the local media corps, he said. Additionally, Moynihan said, Town Council Chairman John Engel is working on possible historic easements that would be designed to protect Vine Cottage should it be sold. Devereaux asked whether the Irwin House offices would be rented out at market rates and whether becoming a landlord in that way would put New Canaan in direct competition with commercial property owners. Moynihan said it would “to some extent” and that the town is “talking to landlords and tenants” both. At the very least, Vine Cottage should be added to the Historic District. (For what it’s worth – example: Talbot’s house). Again the town will lose more parking: First the telephone lot, then the Red Cross lot next the Vine Cottage. Maybe if we took away free parking for the Selectmen they would be more aware of the need for downtown parking.